NBC will celebrate the lighting of the world’s most famous Christmas tree with “Christmas in Rockefeller Center” on Wednesday, Dec. 2 (8-9 p.m. ET). 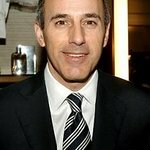 NBC’s “Today” anchors Matt Lauer, Savannah Guthrie, Al Roker and Natalie Morales will host the live broadcast from New York City’s Rockefeller Center, which will showcase spectacular holiday performances from Sting, Mary J. Blige, Andrea Bocelli, The Band Perry, Andy Grammer, Carly Rae Jepsen, Pentatonix, Band of Merrymakers, and music legend James Taylor, featuring world-renowned trumpeter Chris Botti. The evening will also include a special performance by the Rockettes. The 83rd annual holiday extravaganza will feature a 78-foot tall Norway Spruce from Gardiner, N.Y. It is approximately 80 years old and weighs approximately 10 tons. Once again, “Green Is Universal,” NBCUniversal’s sustainability initiative in partnership with the Arbor Day Foundation, will kick off its annual tree-planting campaign during the “Christmas in Rockefeller Center” broadcast. This year, viewers can “GIF’t a Tree” to a national or state park or forest, by using #GIFtATree or visiting www.greenisuniversal.com to create and share an animated holiday tree GIF. 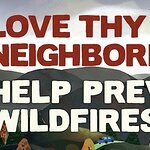 Each action will contribute to the Arbor Day Foundation’s tree planting efforts, funded by a $25,000 donation from NBCUniversal.